The People’s Republic is minting two new billionaires each week. Soon they will outnumber their U.S. peers. Younger, creating wealth faster, and losing it faster too: Chinese are redefining what it means to be ultra-rich. 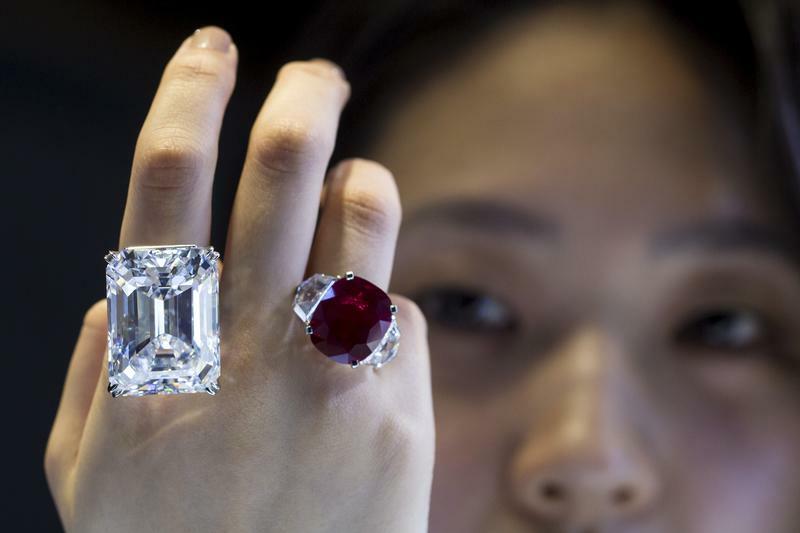 A model displays both a 100.20 carats (L) and a 25.59 carats, that is known as 'The Sunrise Ruby', diamond rings at a pre-auction viewing at Sotheby's in Hong Kong April 3,2015. According to a press release by Sotheby's, the 100.20 carats diamond, described as "internally flawless" by Sotheby's, is expected to fetch between $19-25 million in a New York auction on April 21, 2015. The Burmese cushion-shaped ruby diamond 'The Sunrise Ruby', mounted by Cartier as a ring, is expected to fetch between $12-18 million in Geneva on May 12, 2015. Global billionaire wealth increased by $1.4 trillion to $8.9 trillion globally in 2017, according to the "Billionaires Insights 2018" report by Swiss Bank UBS and consultant PwC. Some 177 Asian billionaires were created during 2017, or more than three a week. They accounted for more than half of the new billionaires created worldwide. China added 55 net new billionaires last year bringing the total to 373 at the end of 2017. Almost all of these were self-made. Compared to the previous year, their total wealth increased by 39 percent to $1.12 trillion.